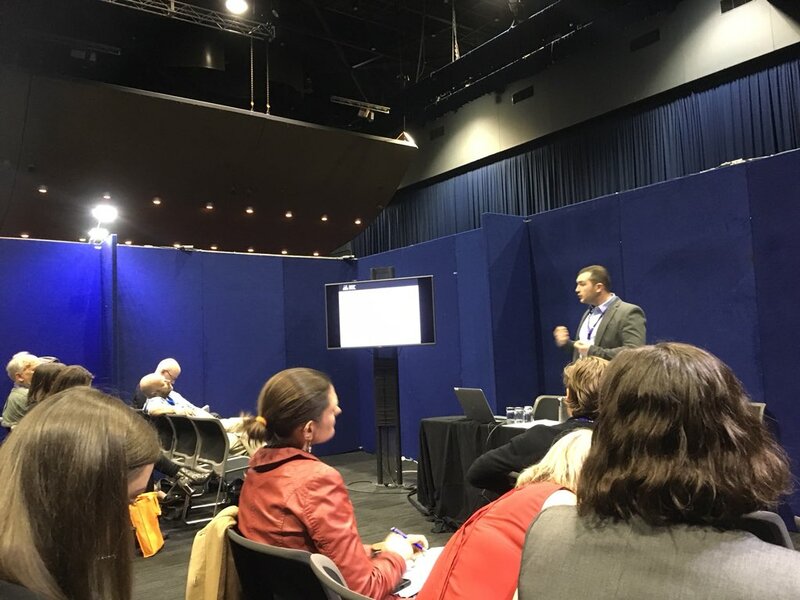 Doctoral student Feodor Snagovsky presenting at the International Political Science Association Conference in Brisbane. 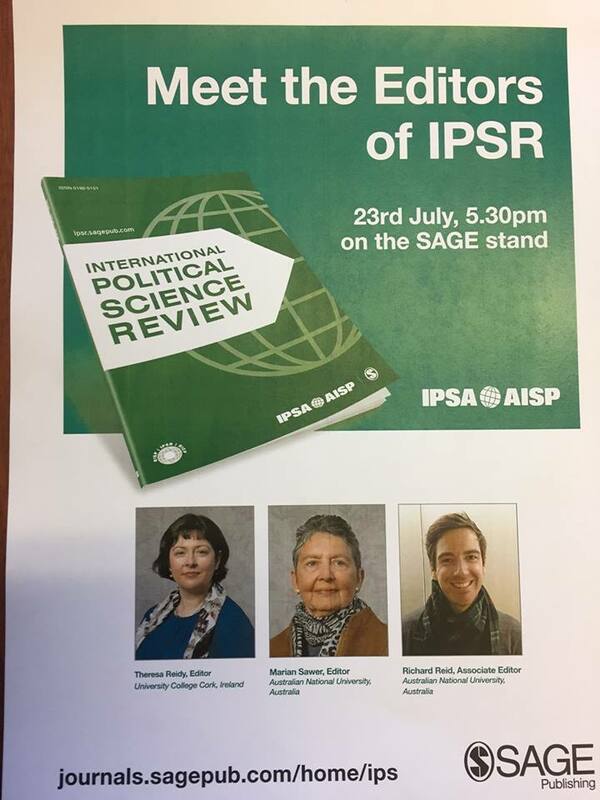 The International Political Science Association's (IPSA) 25th World Congress of Political Science was held in Brisbane July 21-25. 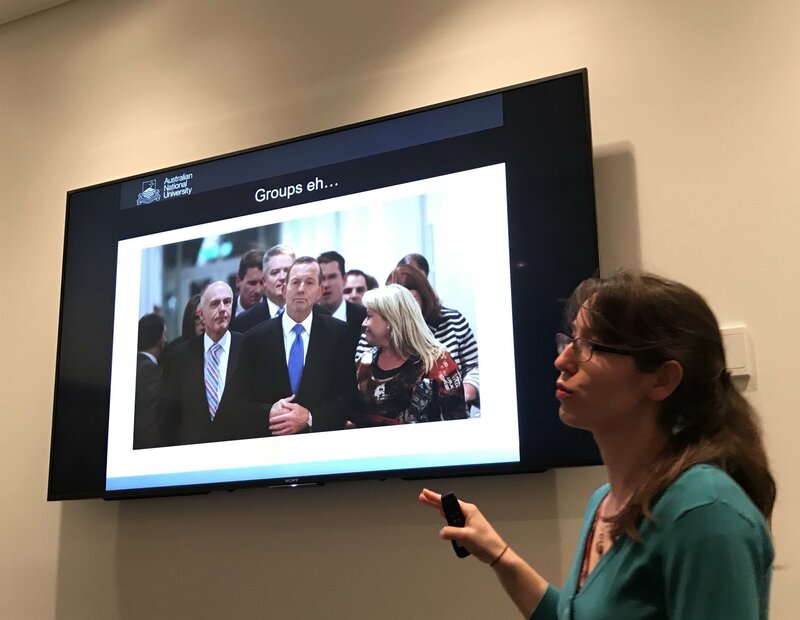 A large contingent of faculty and students from the ANU School of Politics and International Relations travelled to Brisbane to attend the meeting. 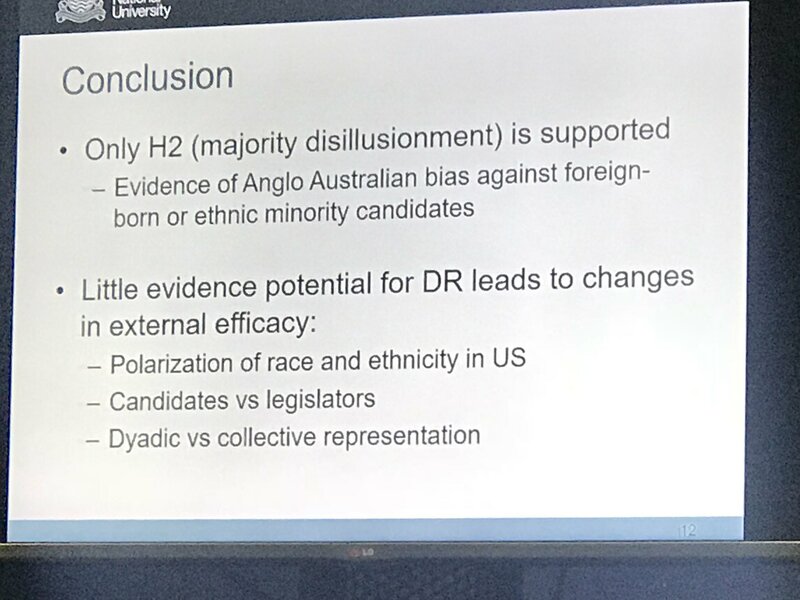 Among the presentations made by SPIR staff and students were papers covering the full range of political science and international relations themes. 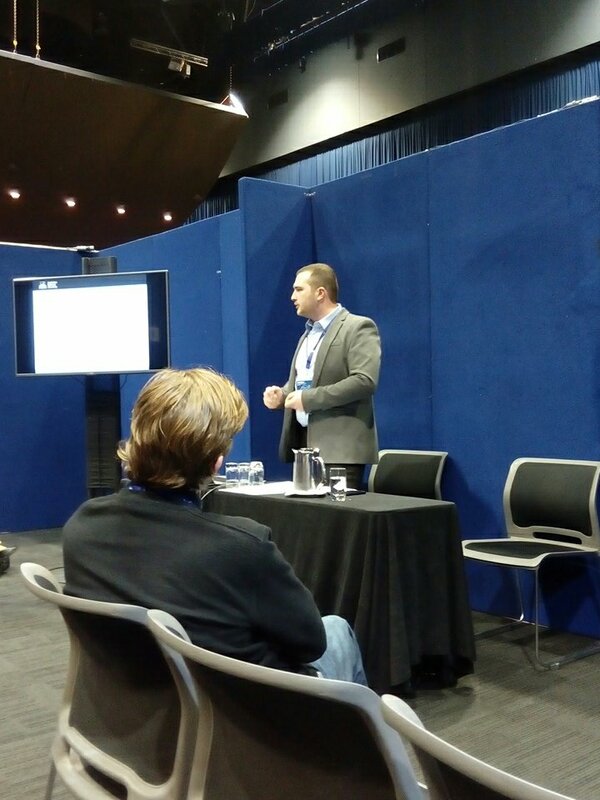 This time around, the IPSA meeting served as the Annual Meeting of the Australian Political Studies Association. 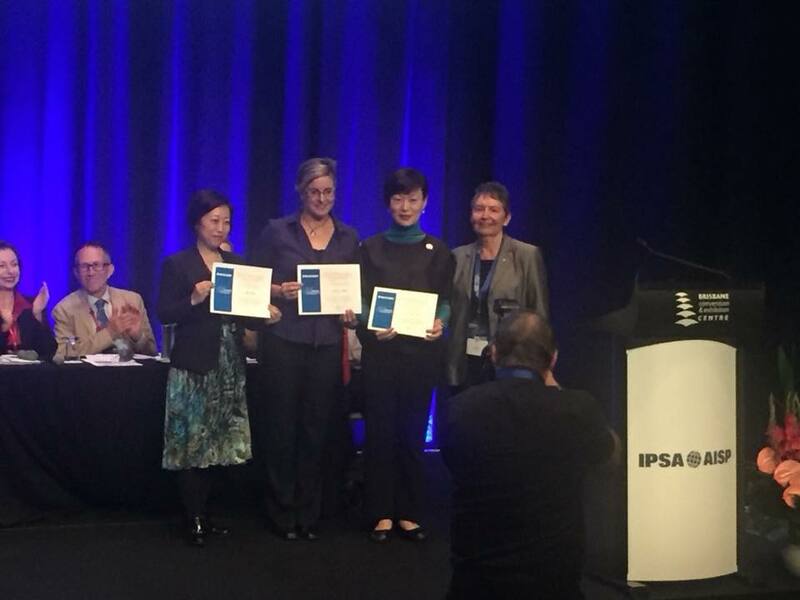 Dr Jill Sheppard from SPIR was elected to the Executive of the APSA Women’s Caucus and to the Executive of APSA as a whole. 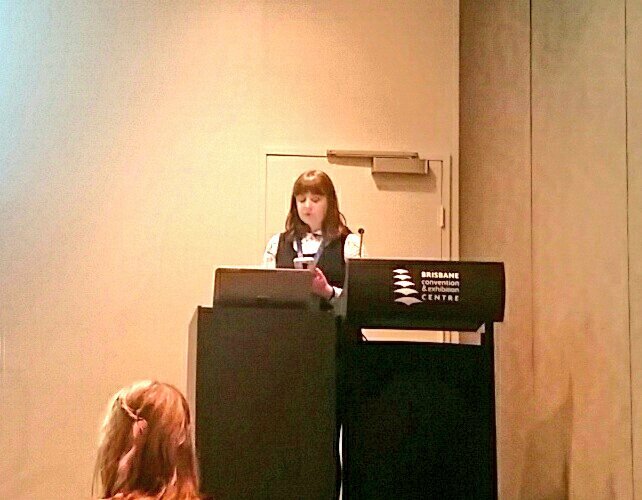 Meanwhile, a generous donation from Emeritus Professor Marian Sawer, allowed the APSA Women's Caucus to host a mentoring dinner at which junior female political scientists from across Australia were able to meet and network with internationally renowned scholars. 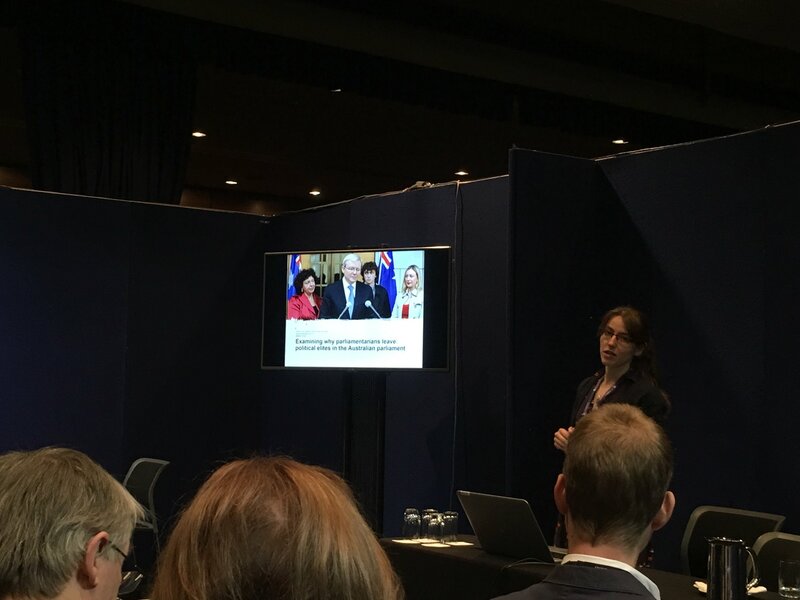 Professor Sawer is a leader of political science (and particularly feminist political science) in Australia. Some photos of SPIR staff and students below are available below.